Today it was just me and James and we went with a friend and her little girl to our local park for a play and to try and burn some of the little ones endless energy lol! 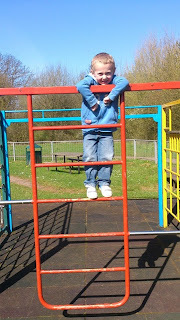 We are very lucky as we have a park right on our doorstep that is usually quiet and has lots of different equipment to play on and is lovely especially in the summer months. 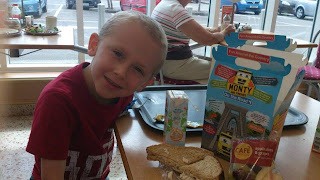 After using up lots of energy we then visited the Morrison's café for lunch, We had never been before but thought we would try it as the friends we were with had recommended it. It was really Yummy! and had plenty of choice at really reasonable prices especially for the little ones. I had a lovely sandwich selection which consisted of 4 triangles of sandwich's with 4 different fillings (1 prawn mayo, 1 egg mayo, 1 cheese and tomato and 1 ploughman's) it also came with a small bag of crisps and salad all for £2.50! 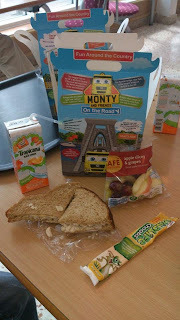 James had a children's packed lunch box which was a fun cardboard box with cartoons on which consisted of 1 sandwich (choice was chicken, jam, ham and dairylea filling) a carton of drink, a yoghurt, a small pack of grapes and apples and a colouring pack which had a few small crayons and a little activity booklet. All this for just £2.65! The café had a relaxed atmosphere and the staff seemed friendly and prompt. I can highly recommend trying a Morrison's café near you. 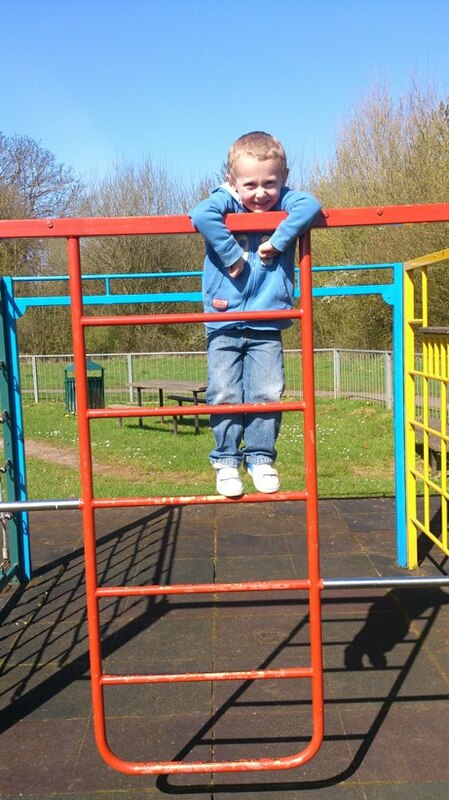 We had a fab day and James is now all tucked up in bed snoring away so the park must have worked! !